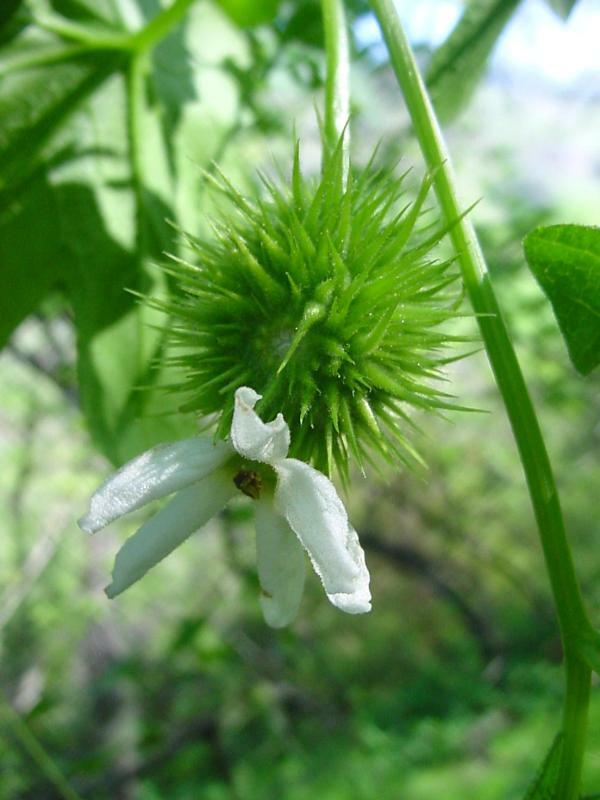 Wild cucumber is a climbing and trailing perennial that grows from a large woody or fleshy underground root weighing as much as 100lbs. 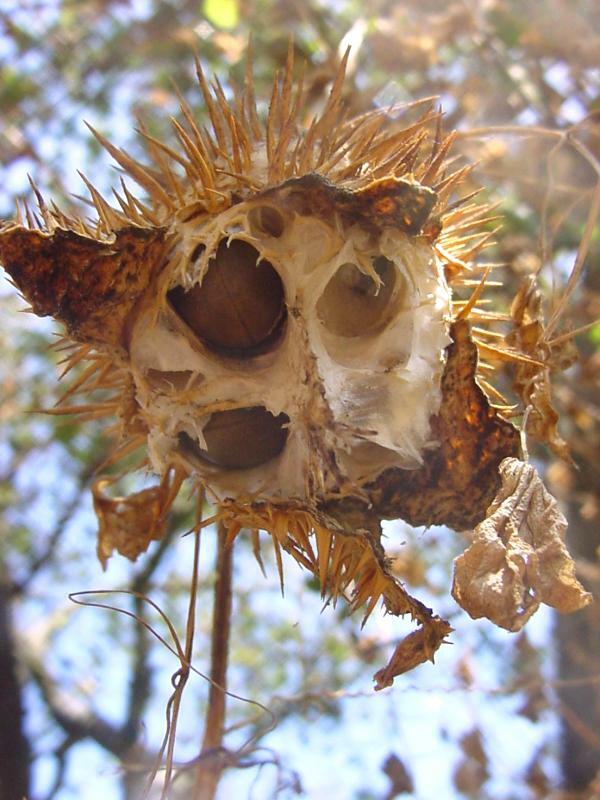 It is because of this root that it is sometimes called manroot, and also that it is one of the first plants to reseed after a fire. The alternate leaves are 5-7 palmately lobed, heart-shaped, and up to 4" across. 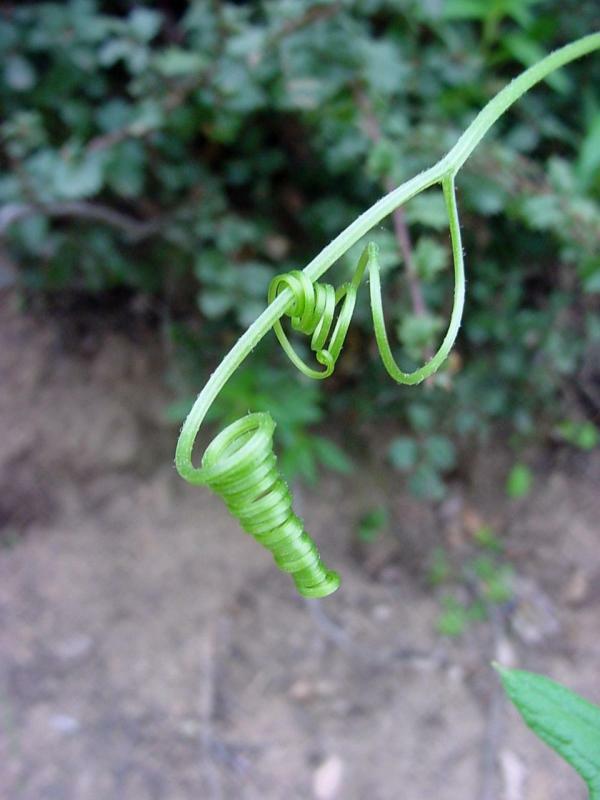 Tendrils used for anchoring the plant grow opposite the leaves. 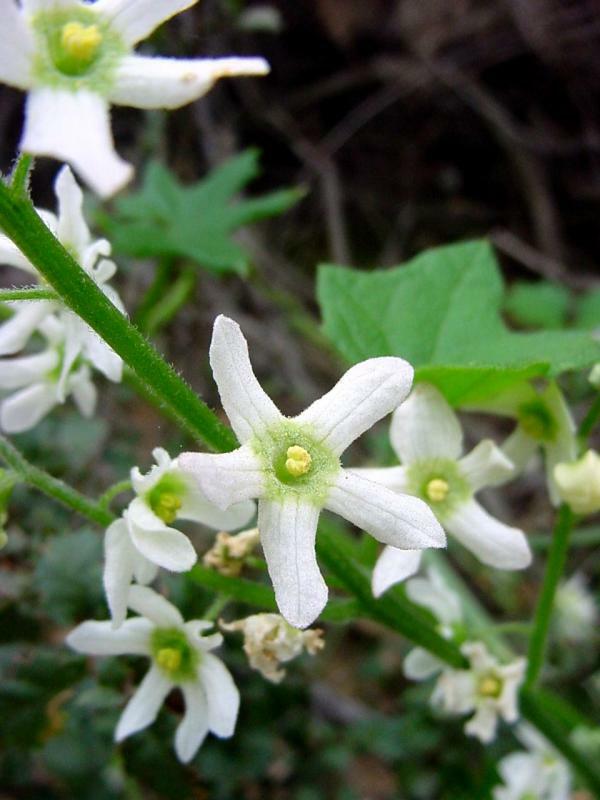 The male and female flowers are separate but on the same plant, and are white with five petals. 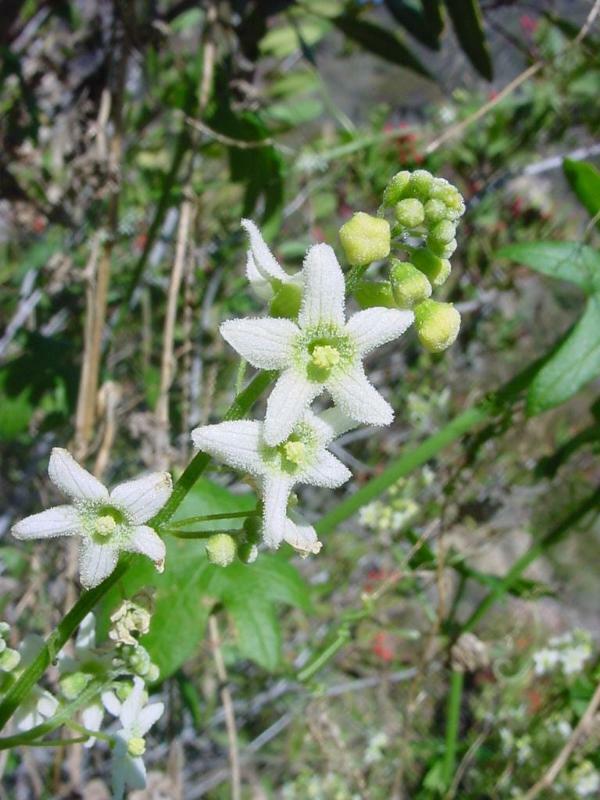 The male flowers appear on specialized stems in racemes of 5-20, and the somewhat larger female flower from which the fruit develops arises at the base of that stem. 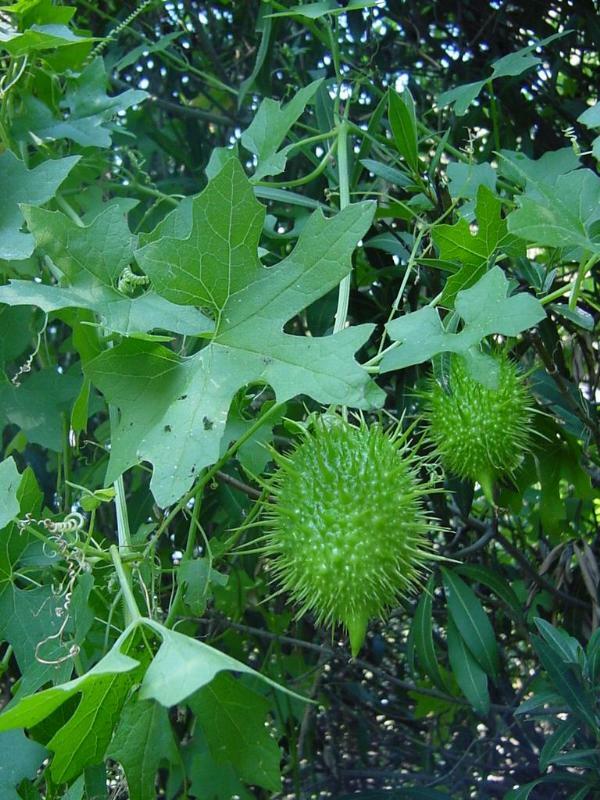 The fruit is a green, ovoid gourd to 5" long densely covered with stiff flattened prickles sometimes with a sharp beak at the end and containing 4-16 oblong brown to tan seeds. 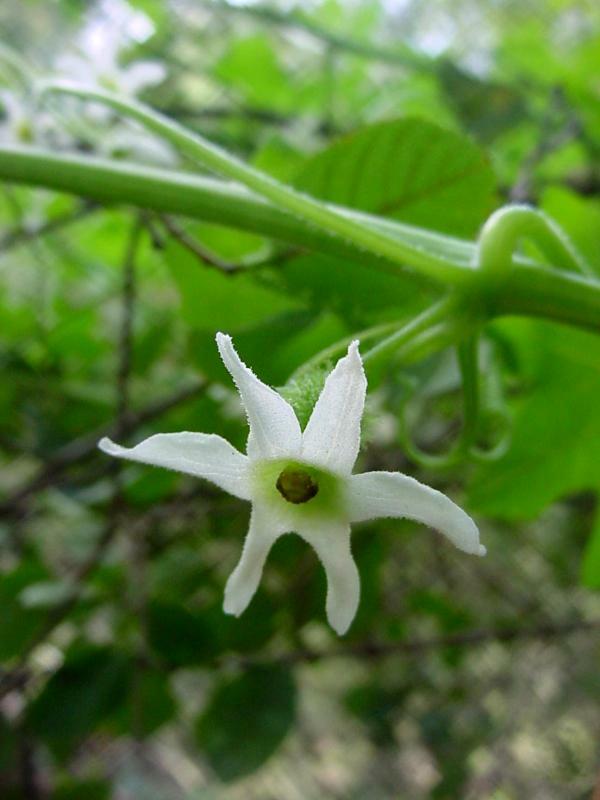 Wild cucumber begins sending up rapidly-growing shoots in December and may begin blooming in January, continuing through April. 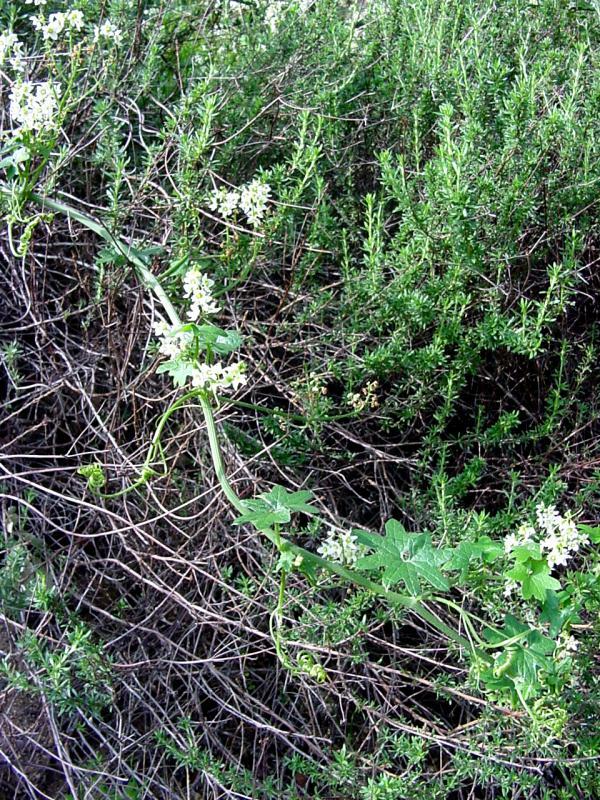 It is a common plant of dry areas of chaparral, washes, roadsides below 3000' and may also be found in coastal sage scrub and foothill woodland communities. The first and fifth pictures show male flowers, while the last two are of female flowers. Both varieties, macrocarpa and major, have been lumped together in JM2. Click here for Latin name derivations: 1) Marah 2) macrocarpa.